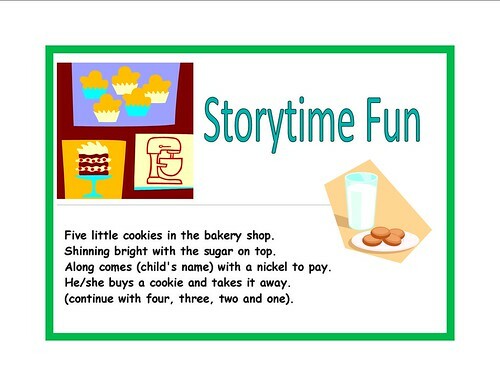 Storytime is a great place for children to learn basic concepts including math. In a few weeks, I will be introducing Five Little Cookies fingerplay to the children who attend my Family Storytime. I've included the words below incase you wanted to learn it as well. Five little cookie in the bakery shop. Shinning bright with sugar on top. Along comes (child's name) with a nickle to pay. How many do we have now? (Continue with four, three, two and one).